Visiting Lafayette, La. in Cajun Country is a dream for many tourists. The culture is unique, the cuisine is like nowhere else in the world, and the Cajun and Zydeco music will make you forget your troubles. The Ducote-Williams House is located only 20 minutes south of Lafayette, La. Visit the bustling city of Lafayette and come back to rest in the peace and quiet of Abbeville. Here are some reasons to visit Lafayette, La. There are many other reasons, but these are the most popular with tourists. The Attakapas Indians were the first known inhabitants to have populated the area of Lafayette. 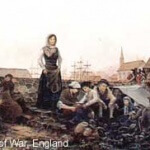 European settlers reached the area around the mid to late 1700s. The migration of the Acadians from French Canada had the most impact on the Lafayette area being settled as early as 1765. The bayous of south central and south western Louisiana offered them an area where they could live according to their own beliefs and customs. There are many places to go in Lafayette to learn about the Cajun culture. Visit the Acadian Cultural Center where you can hear stories of the origins, migration, settlement and culture of the Cajuns. 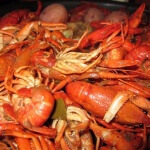 Since Louisiana is located on the northern shore of the Gulf of Mexico, seafood is usually what tourists expect to enjoy when they visit here – boiled crawfish, seafood gumbo, fried oysters and shrimp, etc. But Cajun cuisine is not just seafood. It really is more about how the food is cooked rather than what’s in it. A myth about Cajun cuisine is that it is just food which contains a lot of red pepper. Though red pepper is used, “cooking Cajun” means so much more. That’s the reason you can sample Cajun cuisine in restaurants around the country and it will never taste as good as it does here in South Louisiana. There’s really no way to explain it – you have to taste our food to understand! 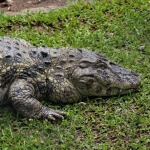 When Cajuns first settled the area, they used foods that were readily available, which included not only vegetables they could grow, but animals they could trap such as nutria and alligator. Crabs, crawfish, shrimp and fish were also easy to put on the table. Remember that when you come to South Louisiana, you will find there’s more than you can eat here in a few days, and all of it is unbelievably delicious. While you’re here, be sure to ask what “The Trinity” is. Most cooks in Louisiana would never think of cooking without it. Stay awhile and eat well! Check out TripAdvisor’s recommendations on the best Cajun restaurants in Lafayette, La. However, there are many many more Cajun restaurants in Lafayette as well as Abbeville. One of Louisiana’s most important attractions is its Cajun and Zydeco music. Though they are sometimes thought to be the same, there are distinct differences in the two. 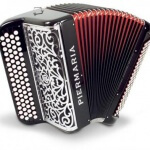 Cajun music, noted in the ballads of the Acadians of Canada, usually has the accordion as its central instrument, along with the fiddle and the metal triangle. Today’s Cajun music may include many other instruments, particularly the scrubboard, guitar, flute, and others. The Cajun dance is a beautiful, waltz-like dance. You will generally find Cajun music and dancing at fais do-dos in the Lafayette area, as well as many dance halls and festivals. In the late 1950’s, a Creole named Clifton Chenier developed a type of music he called Zydeco. Zydeco was originally the music of Louisiana’s Black Creoles. Though many of the instruments used in Zydeo music are the same as Cajun, these types of music are quite different, and the dances that accompany them are different, as well. Zydeco is a hypnotic, fast-beat type of music. When you hear it, you just can’t sit still. Like Cajun music, it can be found all over Lafayette. Don’t know how to Zydeco? No problem, there’s always someone around willing to show you the moves. Both of these types of music draw people from all over the world to Lafayette, La., where they can dance any night of the week, as well as at area festivals. Once you visit Abbeville and Lafayette, you may never want to leave. 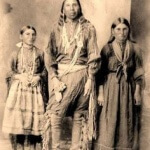 The photo in the Attakapas Indian section: from left to right; girl is Julia Edge, my grandmother, George Washington, her step father and Pauline Washington, her mother. Julia was bilingual at the time and interpreted for George. She was the last living Caddo to speak the language. Pauline lived with us in her last years and never spoke english. If you enjoyed your stay, please consider submiting a review. Thank you!